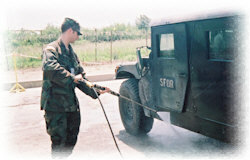 Car Wash Guy, Ben Johnston, National Guard Tank Operator and Wash Guys franchisee in Billings, MT is seen here serving his country and bringing the skills of the Car Wash Guys and Detail Guys to the front lines. Ben Johnston is a tank operator for the National Guard Reserve and is back from his most recent tour in Bosnia. Car Wash Guys and Detail Guys are now World Wide and when the peace of the Planet is at stake, you can bet that the Wash Guys will be there to clean the problems. The Detail Guys believe that cleaning services are needed in every country and that we must work together to clean up the World. 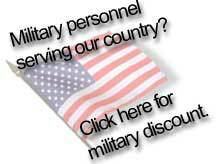 As many of you are already aware we are one of only a hand full of franchise systems in the US that offer Former Military Personnel discounts on franchise fees when they join our team. This is our way of saying thank you for serving our country and World Peace. The International Franchise Association is spear heading this new idea in the franchising community to help former military in transition. 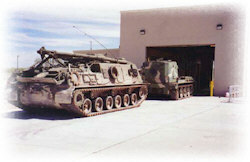 Of course back home Ben's Skills are not needed as much since many military installations now have Tank Washes, similar to a truck wash or car wash. Ben's National Guard Armory still does things the old fashion way in Billings similar to the hard work you see on the Humvee.